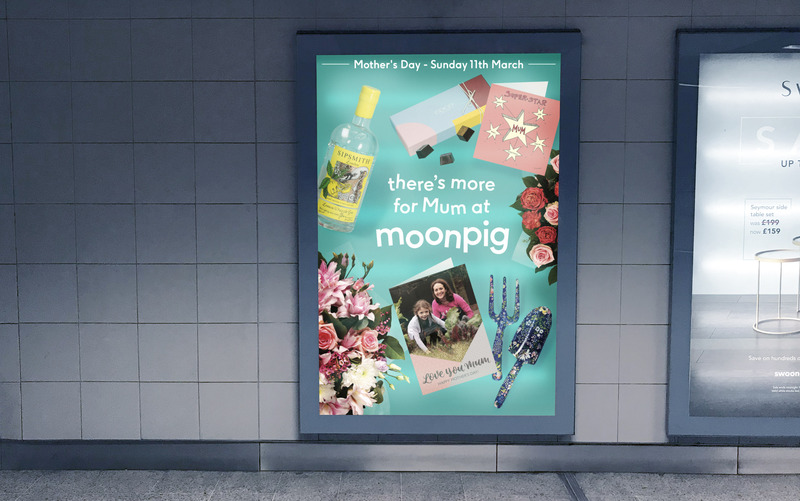 ‘There’s more for Mum at Moonpig’. 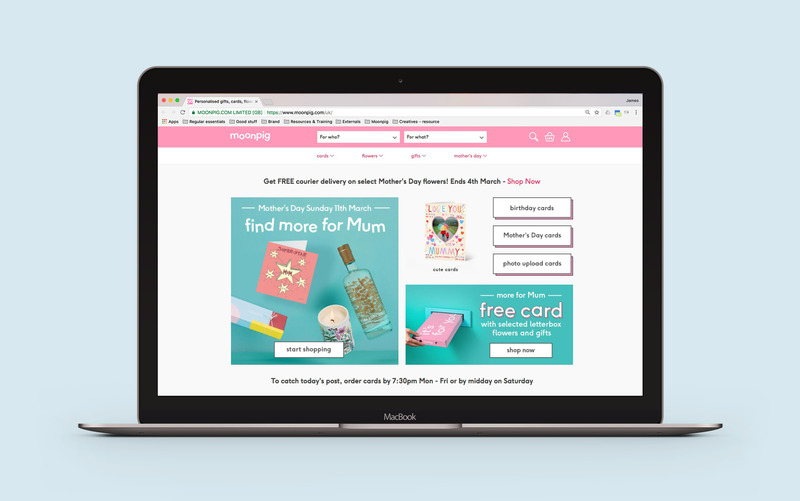 This simple line expressed the surprisingly wide range of gifts and flowers and how a personalised card can mean so much more. 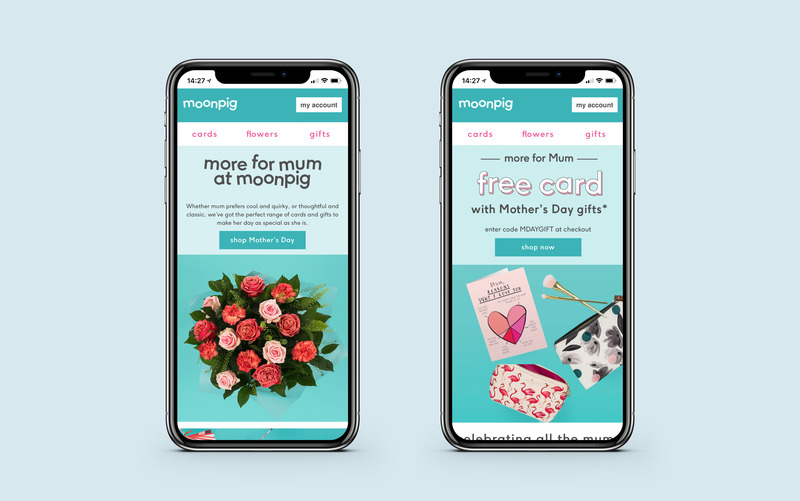 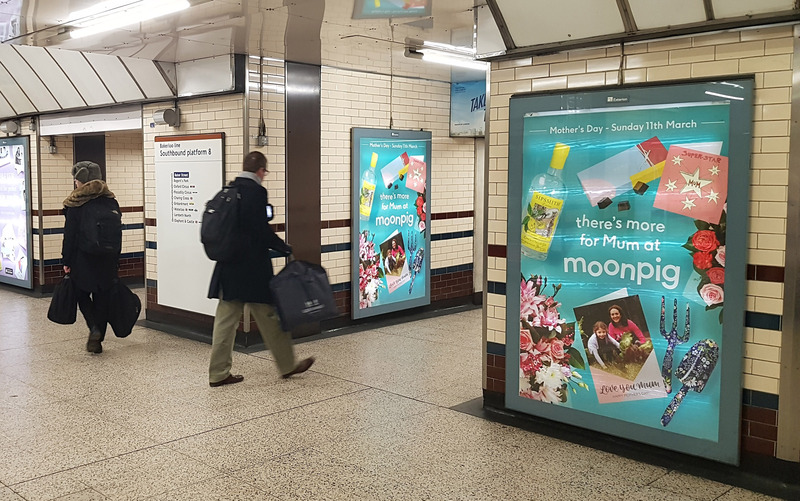 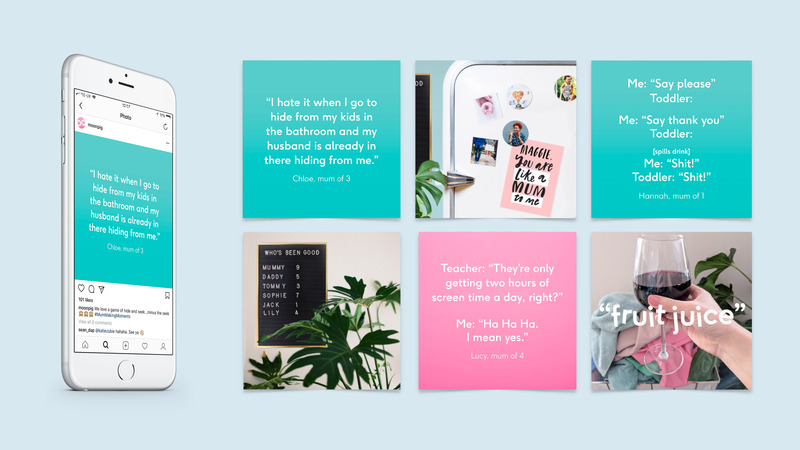 Utilised with a bold visual identity, including a non-mumsey colour palette, this Mother’s Day campaign helped Moonpig achieve its two biggest trading days ever.